That's a very well designed game, everything working as intented, sounds and music are fitting, simple graphics, but also fitting the game. The twist IS missable, not sure how to prevent that tho. As for the Caps Lock, it doesn't work for some reason on my keyboard (I'm pretty sure it's my keyboard, as the caps lock key behavior generally is different here and I'd need to download the driver to change it). More userfriendly for future development might be some checkpoints, the player can unlock and select in the title screen. Anyway, for this early state, the game is amazing. This is a really good game. Follows in the steps of titles like Depict1, and I've always appreciated games like these. It's not exactly original, but the concept is done well here. 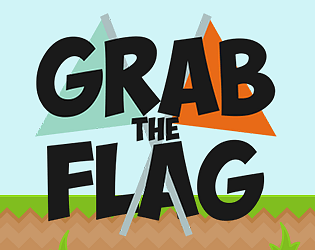 The pacing is a tad too fast at the beginning though; the player only has to wait for a few seconds before the narrator starts bringing the flag to them. I'd suggest giving it a bit more time for the twist to sink in. Great job on this. You should seriously consider making this into a full-fledged game after the jam. I just played a bit of Depict1 online and wow it's amazing! I was actually inspired by The Stanley Parable, but Depict1 seems like a step forward in this concept. Thanks for the comment Naomi! At first, I didn't understand, was really confused. But that made the twist even more amusing. I thought that was clever, and though I couldn't beat the last part of the game, I had fun! Would recommend. I'm really glad you had fun mgnesium! A problem with twists like these is that they can easily be missed, so it's nice to hear about you going through the intended motions ^^ The final boss is quite difficult... My bad, I should have balanced it a little better!